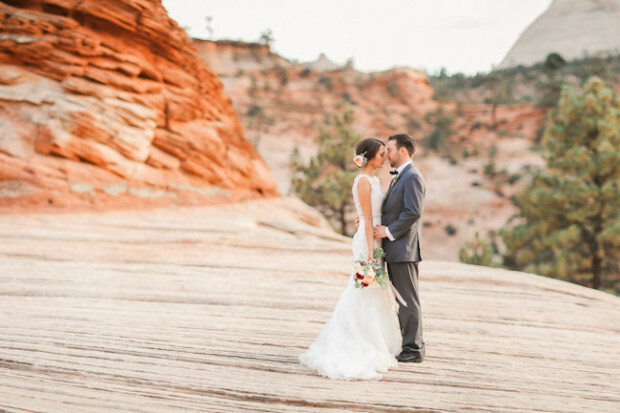 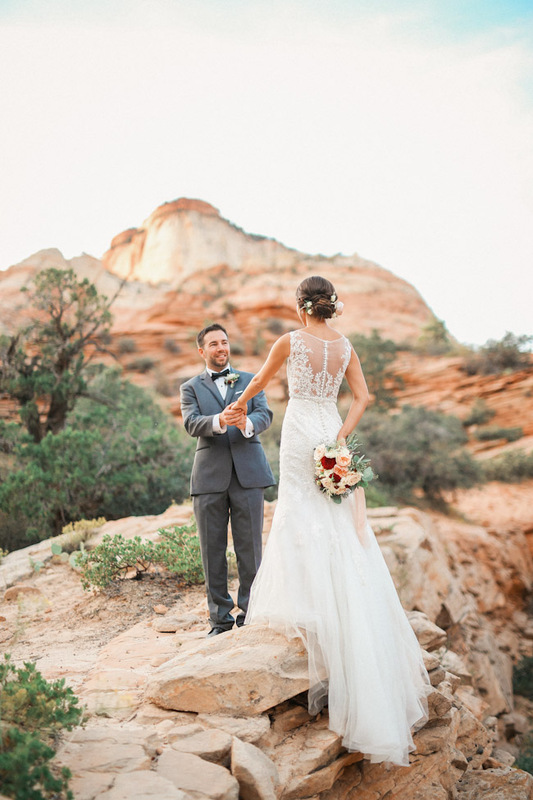 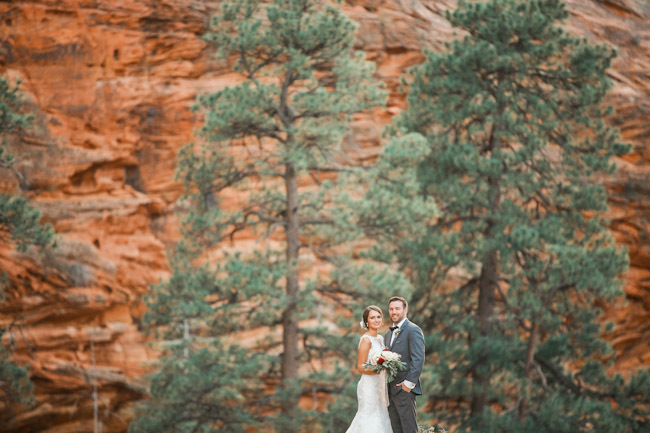 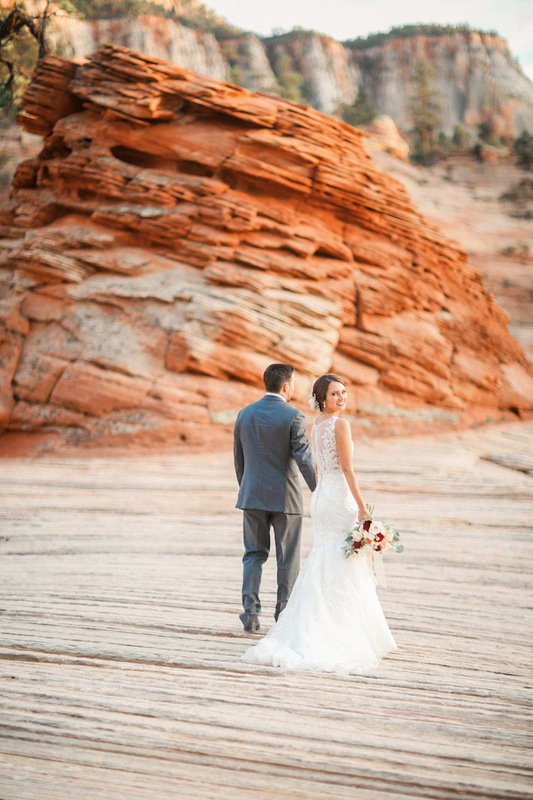 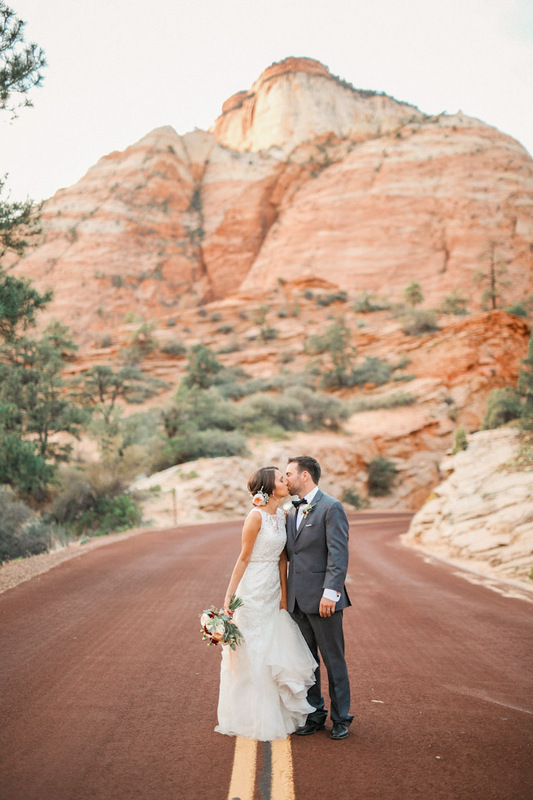 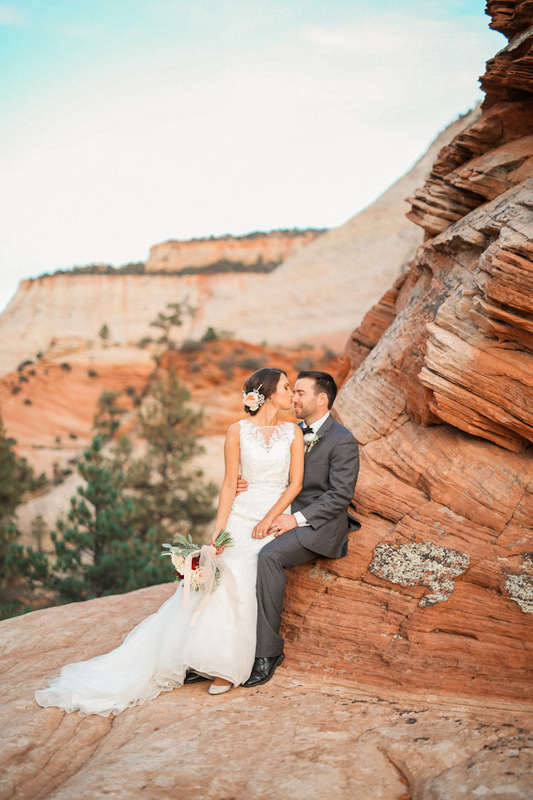 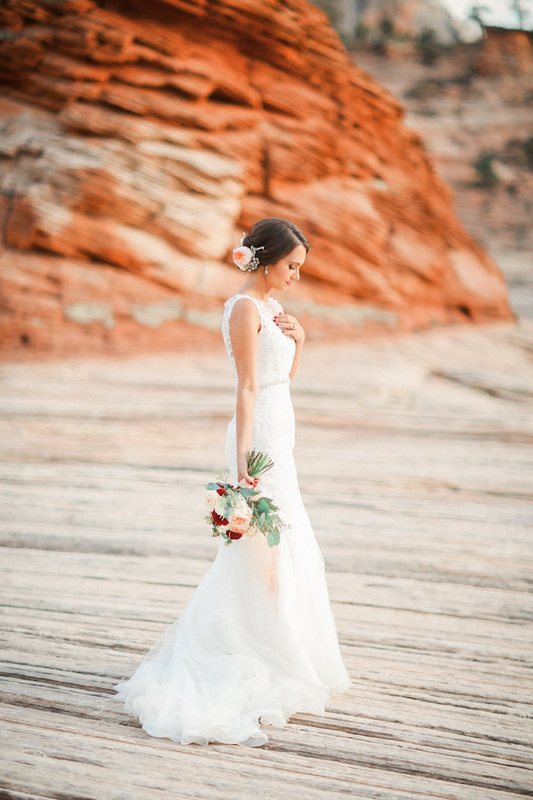 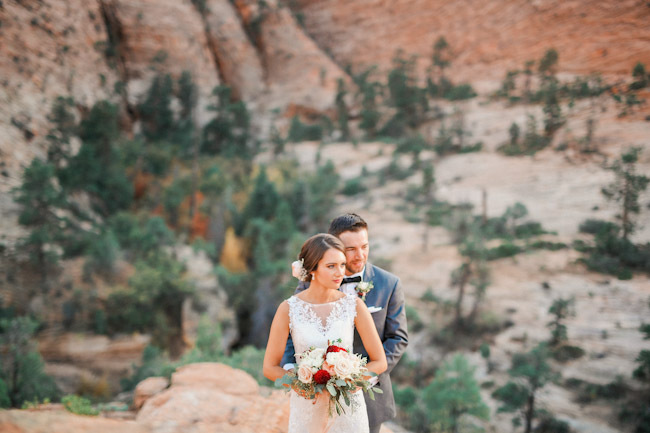 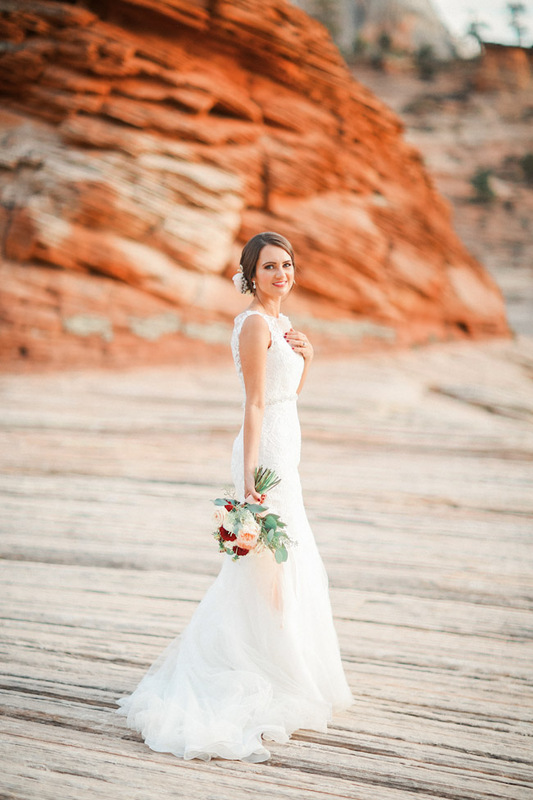 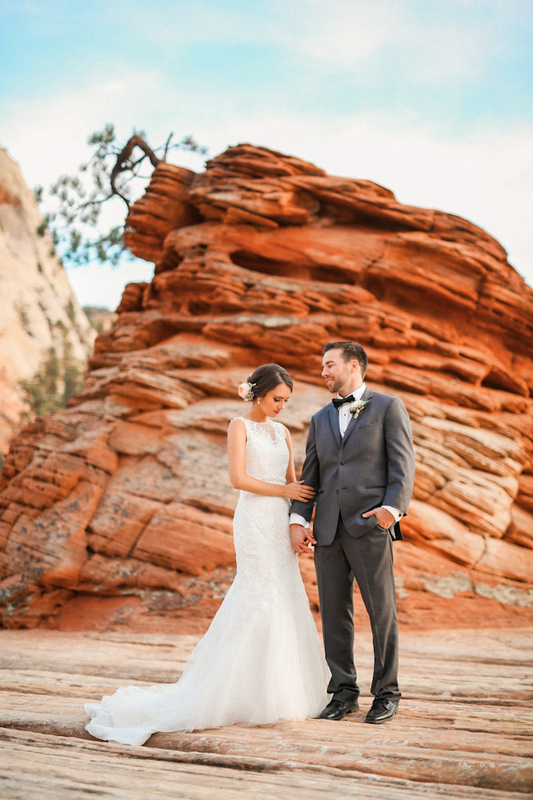 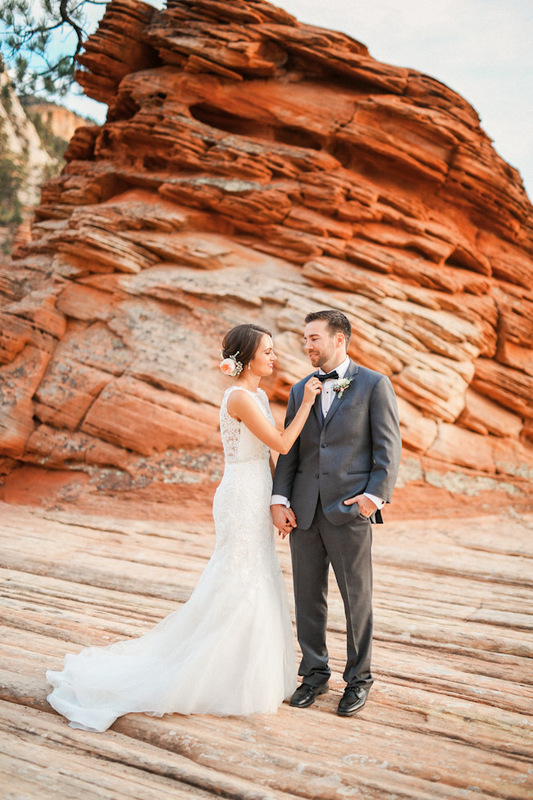 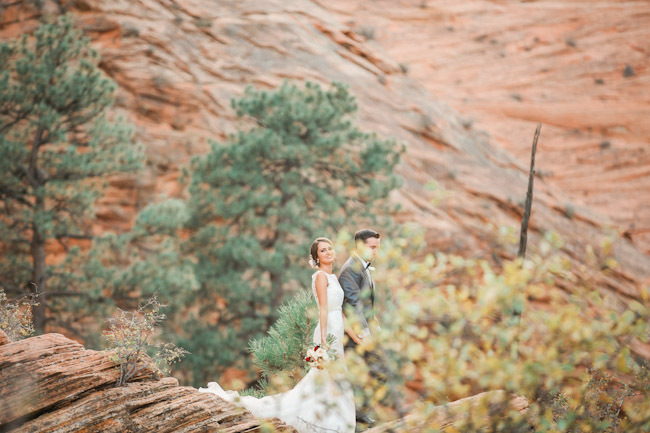 Zion National Park is the perfect place for a wedding. 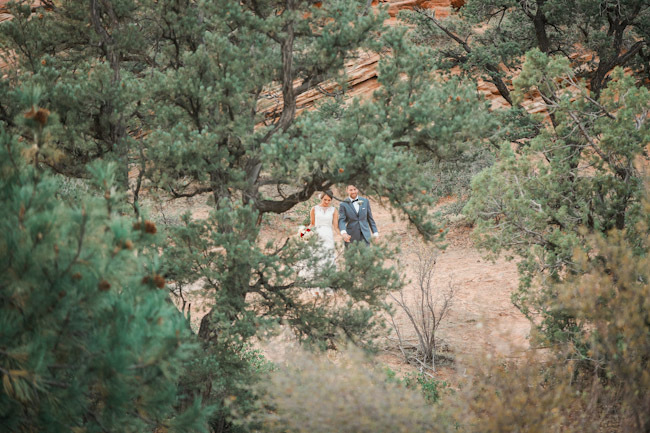 I love photographing weddings in Zion. 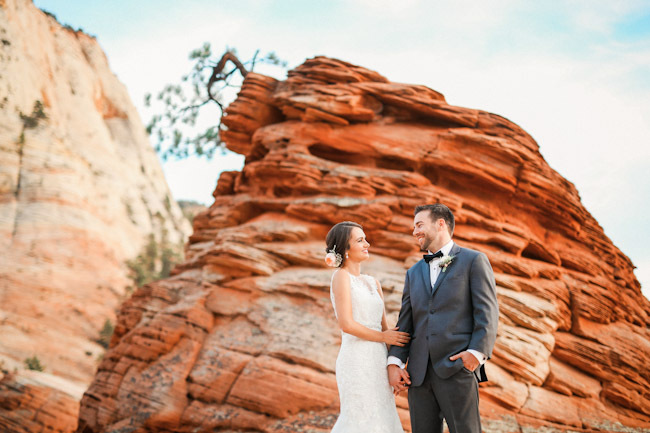 People travel from all over the world to experience its towering sandstone cliffs, amazing vistas and breathtaking slot canyons. 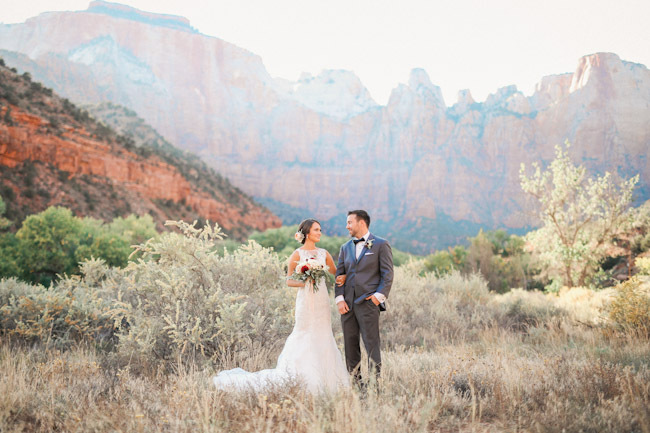 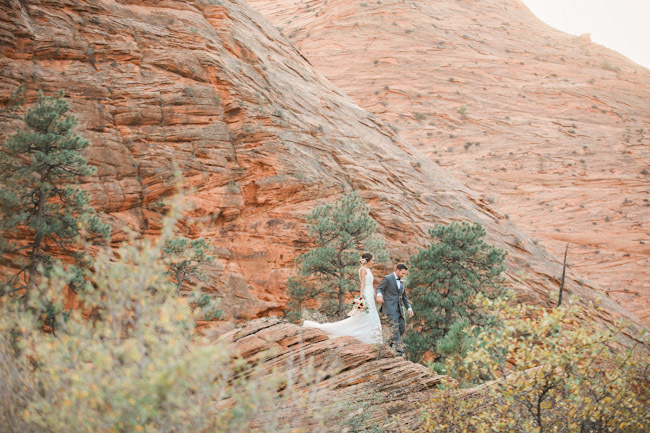 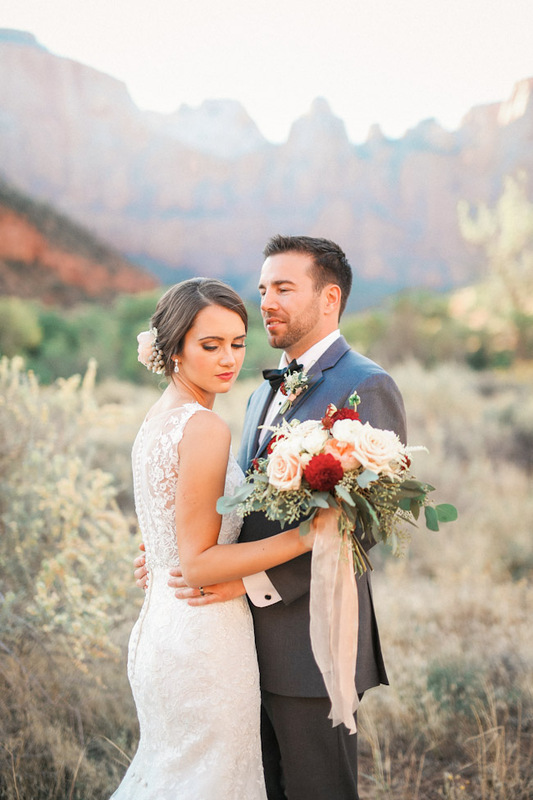 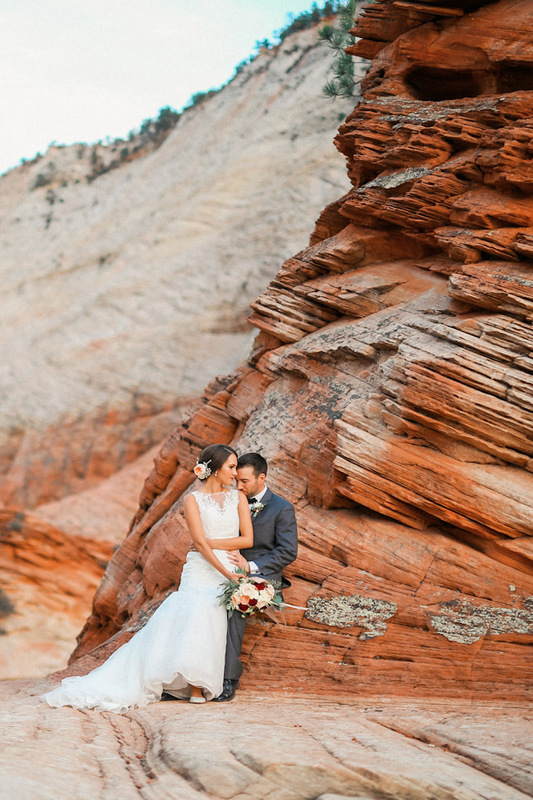 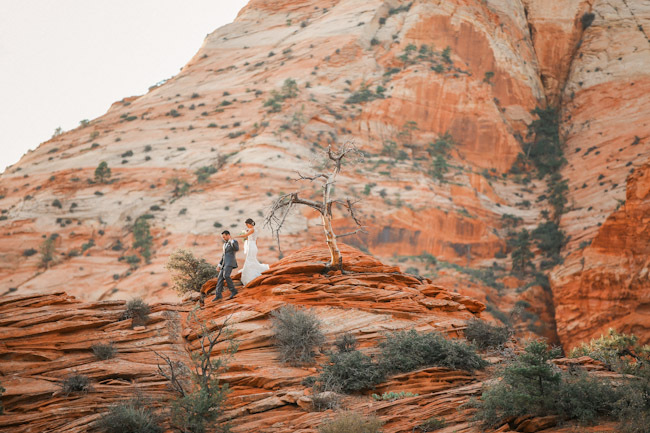 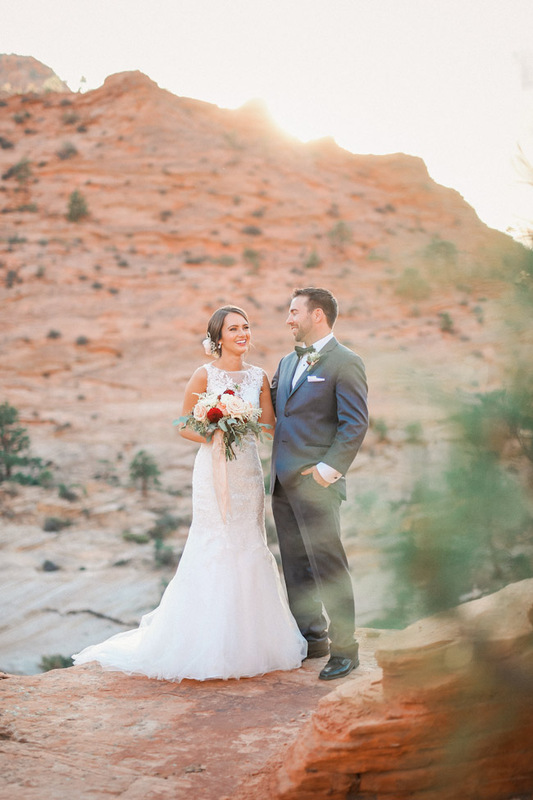 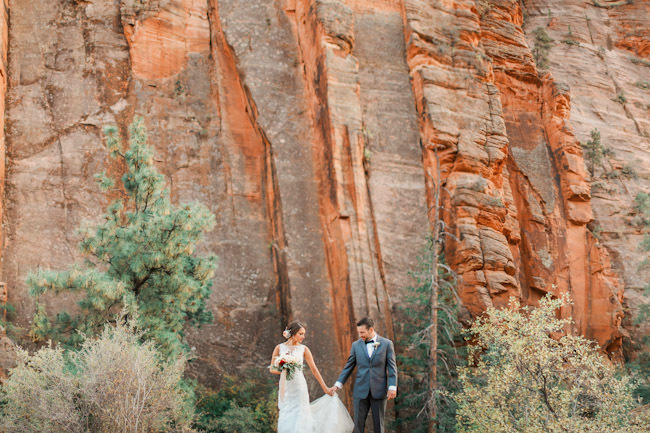 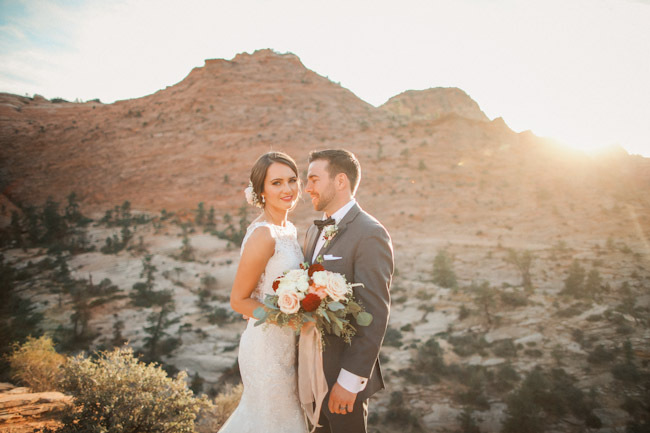 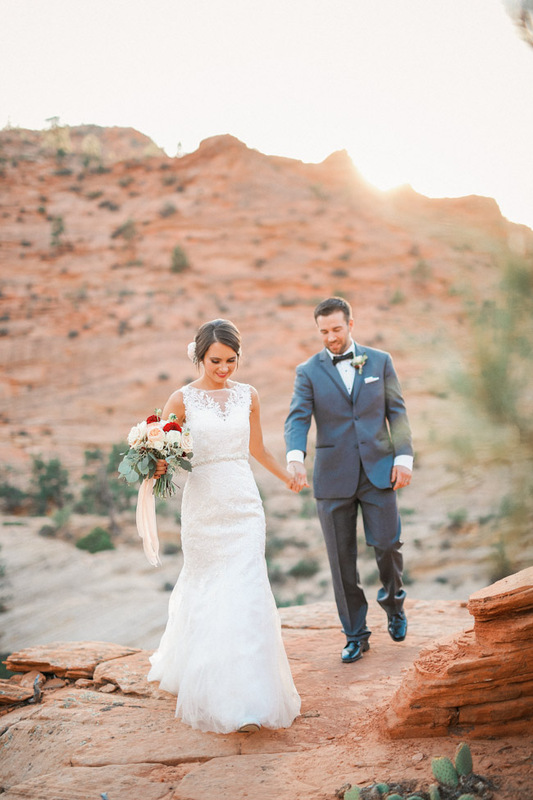 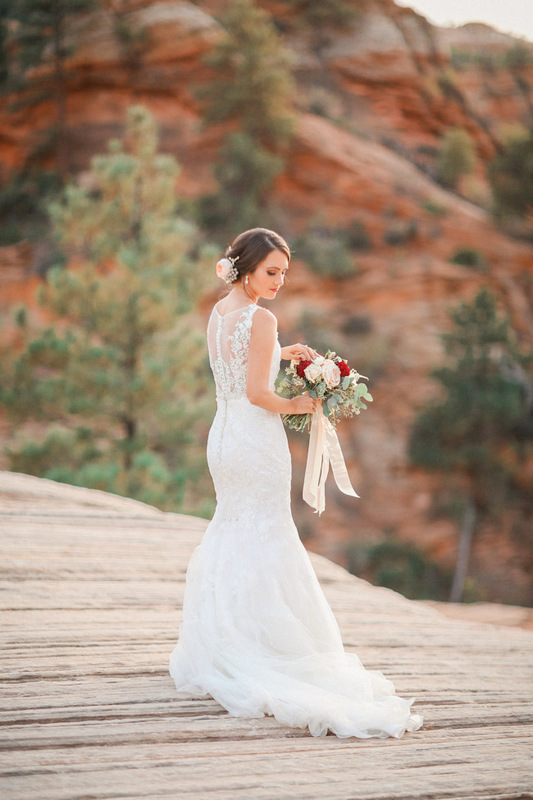 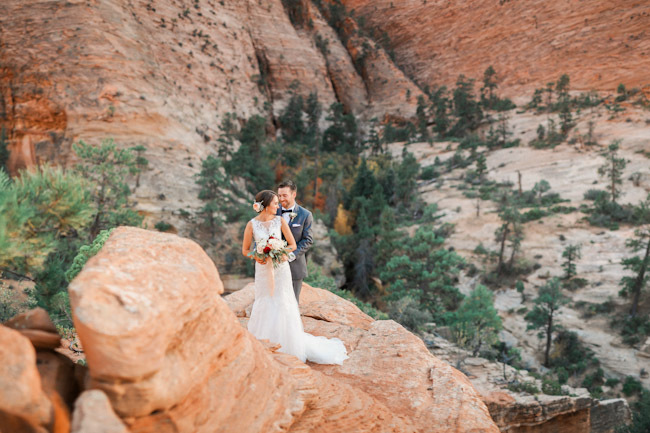 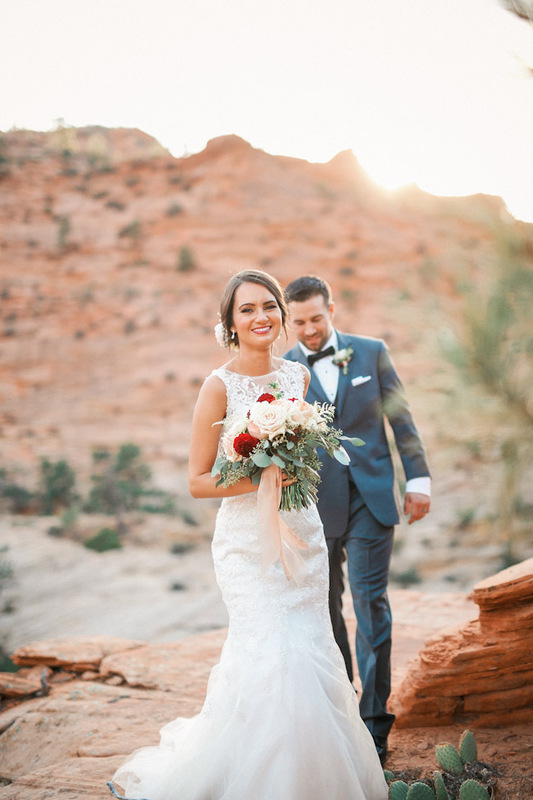 Zion has become known as one of the top destinations for a wedding and with its awe inspiring outdoor appeal it is no wonder why. 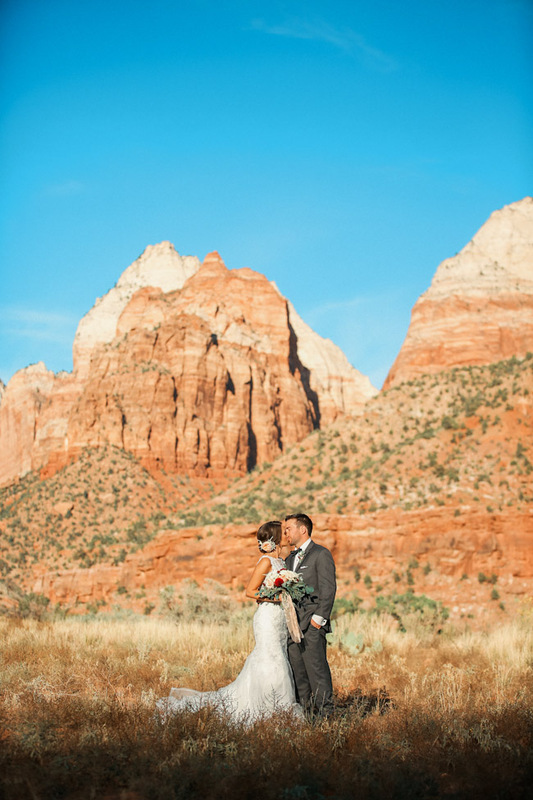 The weather in Zion is some of the best in the world. 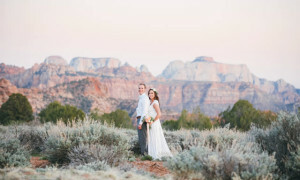 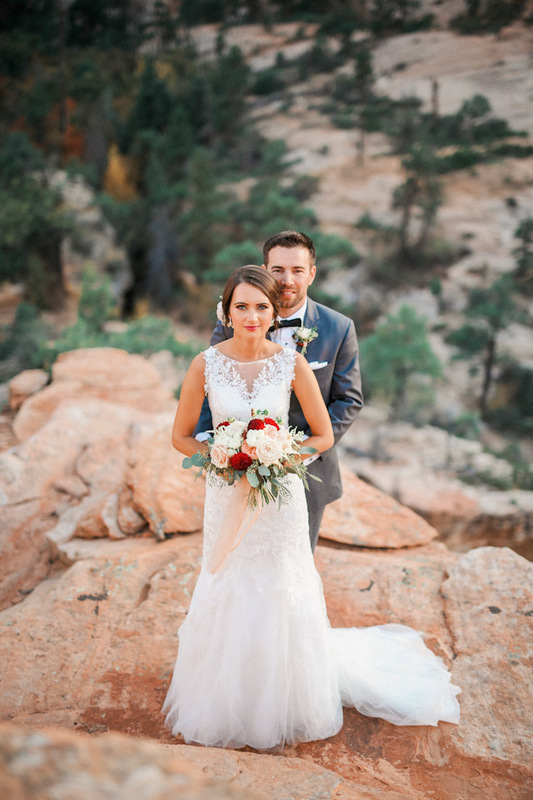 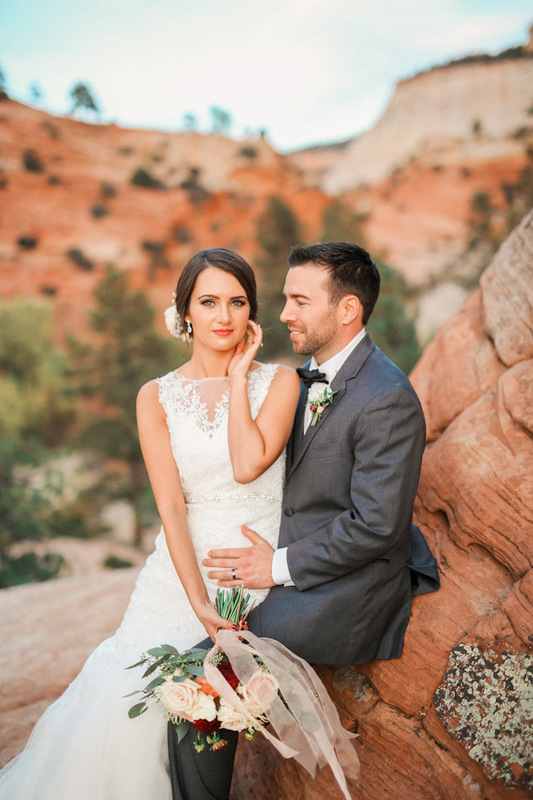 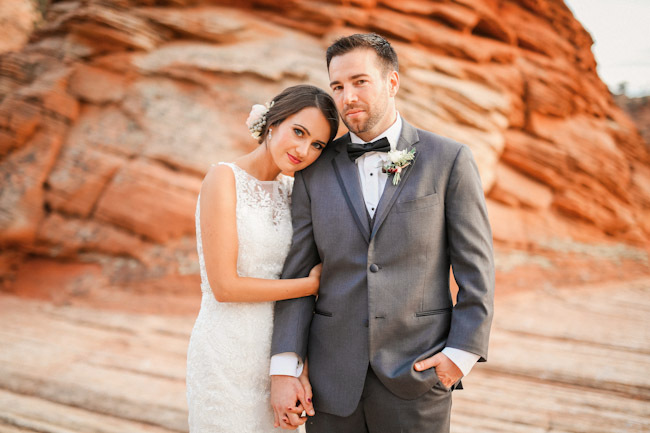 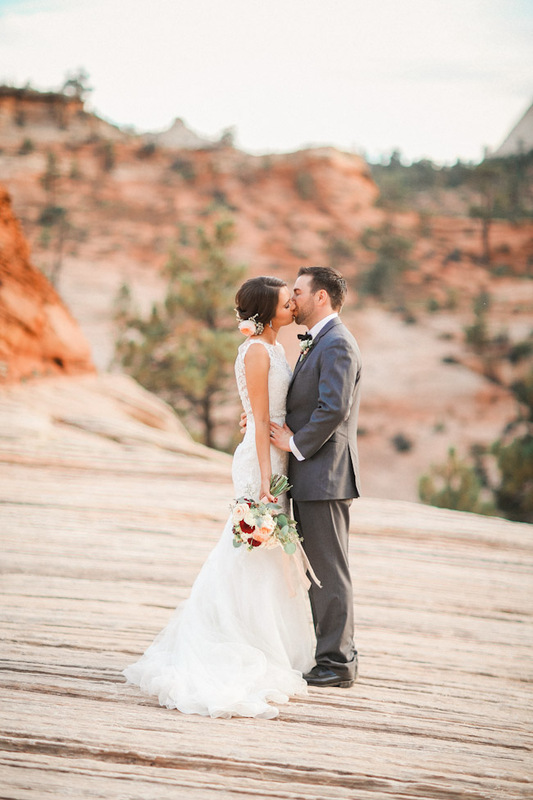 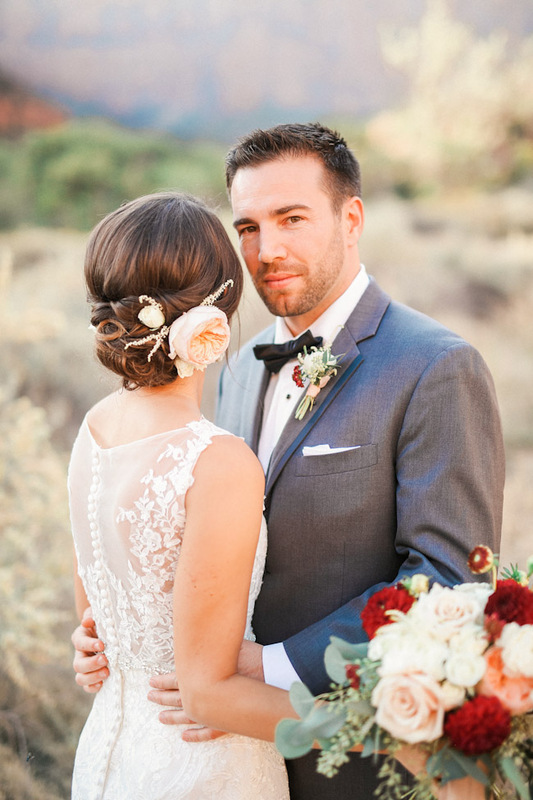 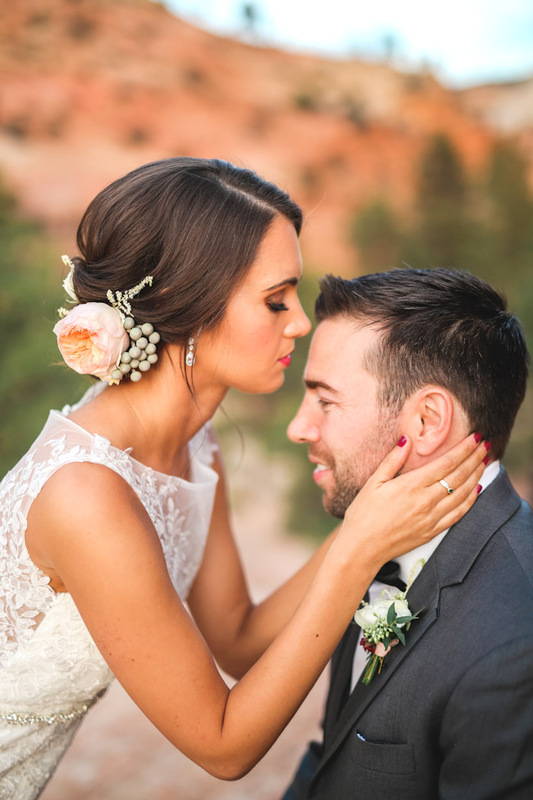 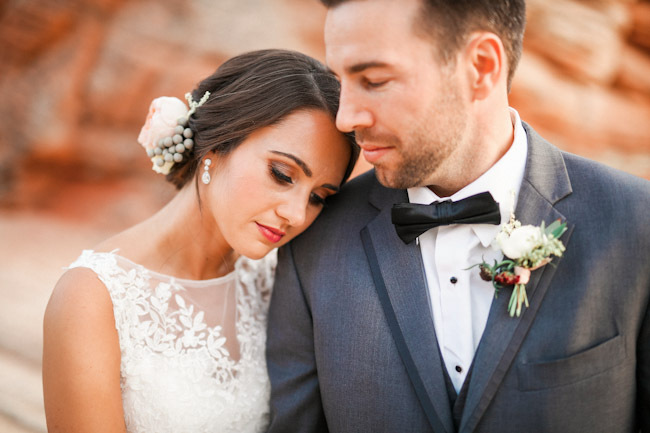 I was so excited for Kelly and John to have their wedding at the beautiful Cliffrose Lodge just outside of Zion. 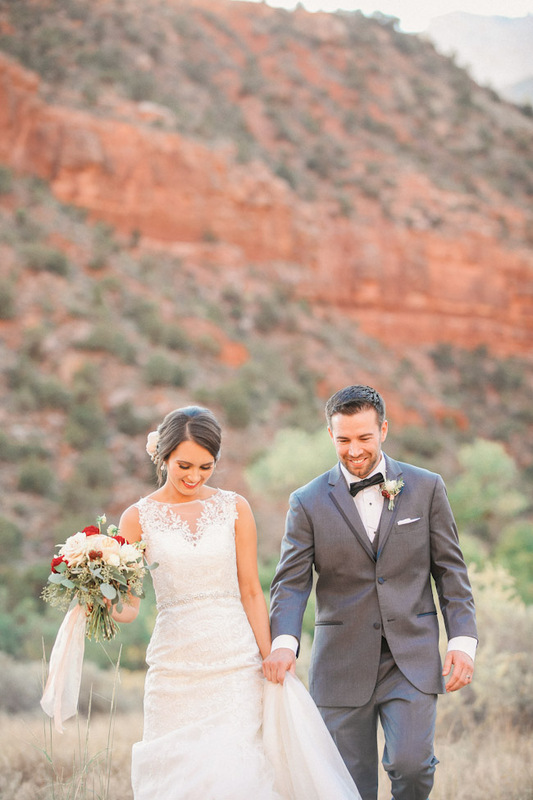 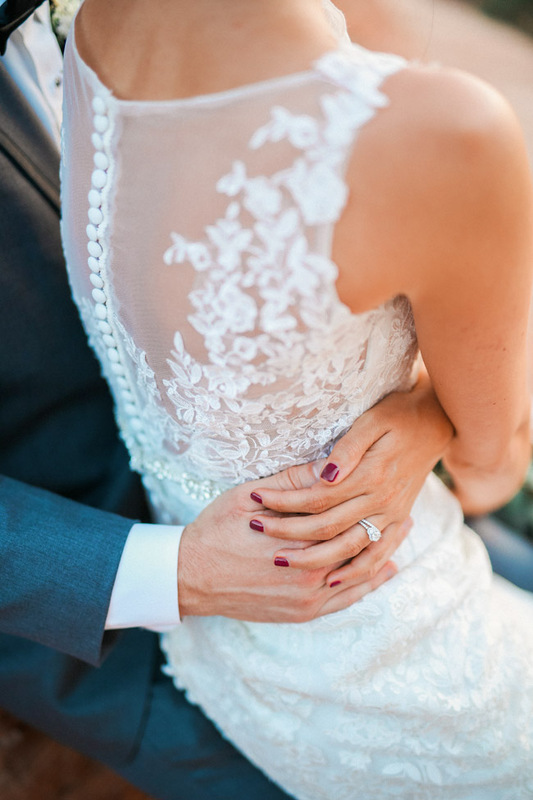 Forevermore Events did an amazing job decorating and coordinating their perfect day. 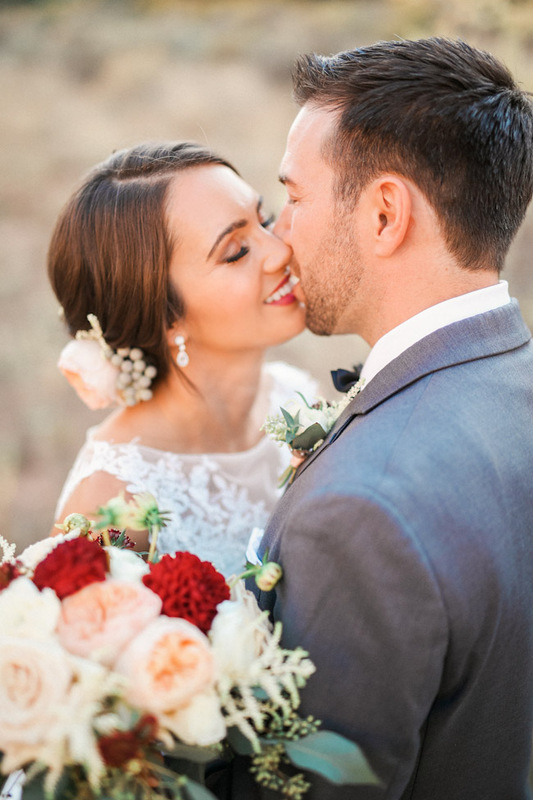 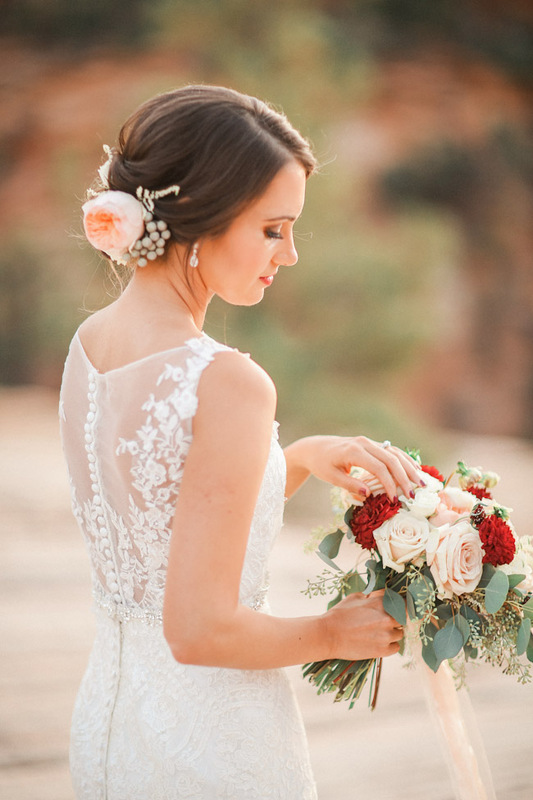 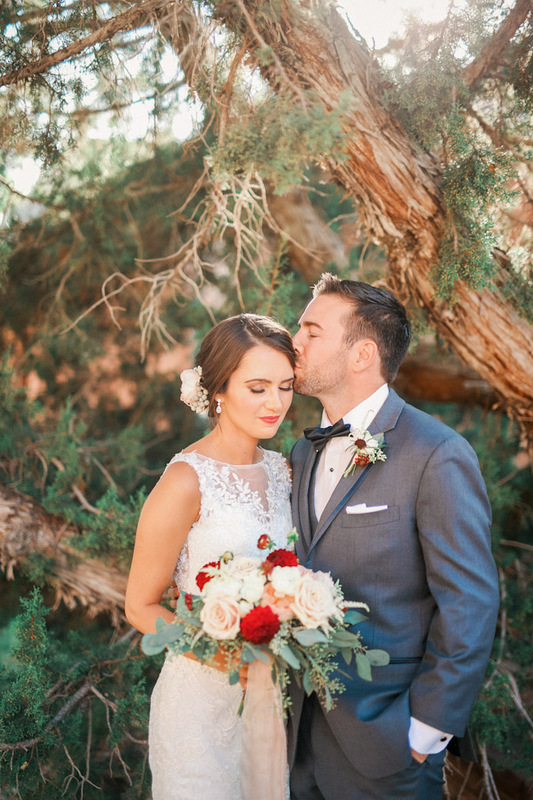 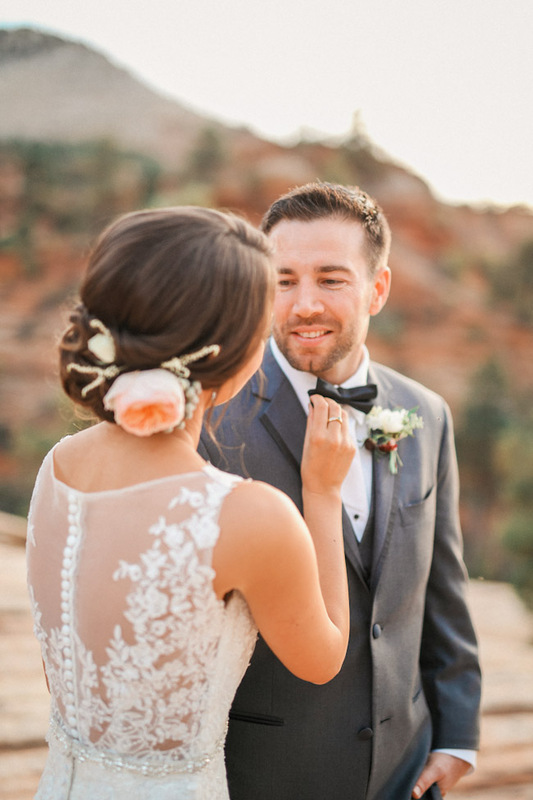 The stunning floral by Bloomers and the lovely videography by Red Tie Cinema, and the perfect hair and makeup by Blow Beauty helped tie the day together. 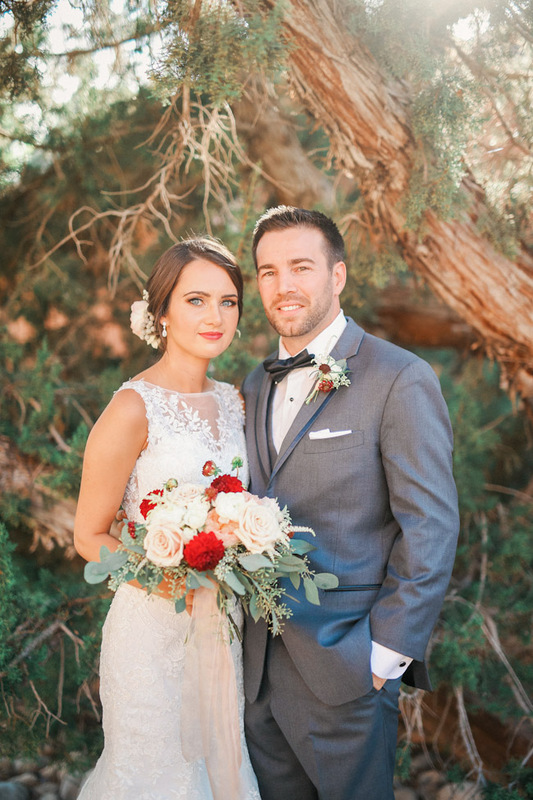 Their full wedding day details and ceremony will be following in a later post. 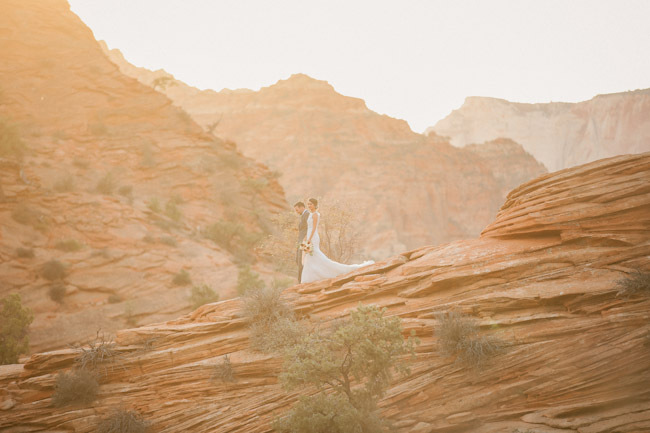 Trekking through Zion with Kelly and John on a photo adventure was amazing. 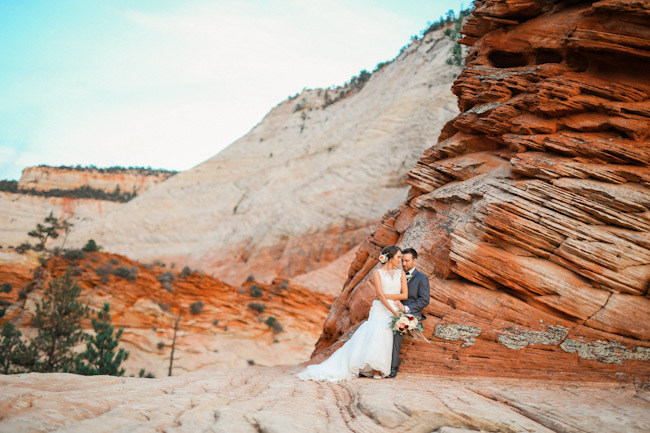 They both looked absolutely stunning and totally stole the show from the Zion backdrops. 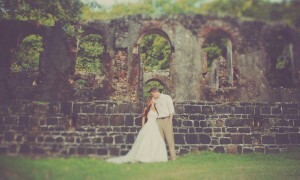 I love both the intimacy of the session with the grander of the surroundings. 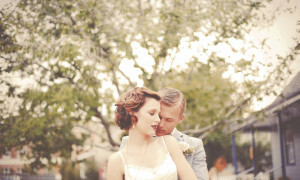 Photographing the two of them was an absolute treat. 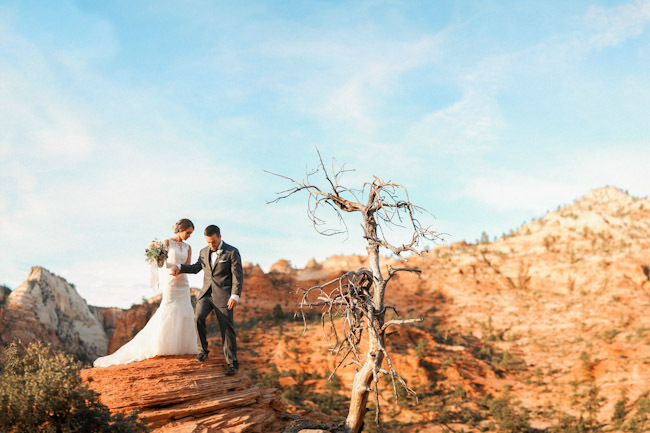 We went to some pretty awesome spots, and they were always up for the adventure of climbing to the next great view. 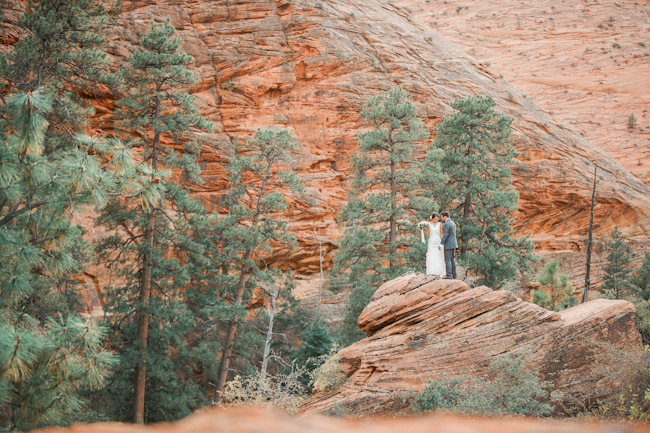 Trust me when I say in Zion, there are no shortage of those. 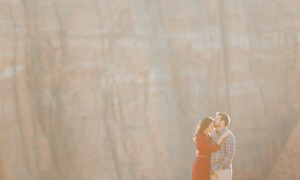 I had the opportunity last year to photograph Kelly and John for their amazing engagement session in Snow Canyon. 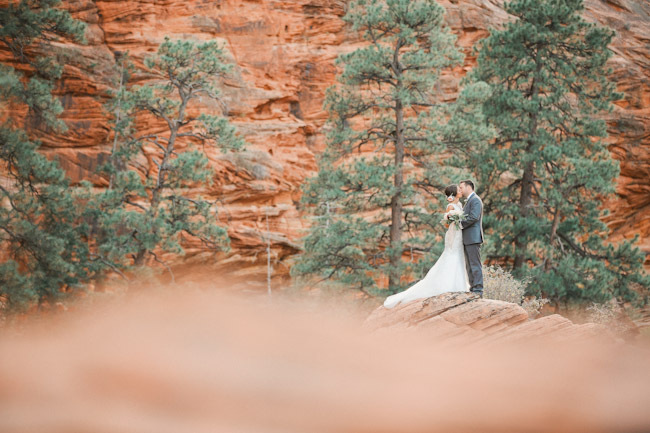 It was fantastic workmen with them again, and I’m so happy to share these photos, and soon their wedding detail photos as well.